Citigroup agreed Friday to pay $100 million to settle charges that its bankers manipulated an important interest rate used to price everything from credit cards to mortgages. It is the latest major bank to settle charges related to the manipulation of the London Interbank Offered Rate, better known as Libor. 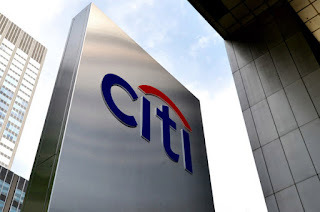 Citi will pay $100 million to the New York State Attorney General's office and 41 other states involved with the investigation, New York Attorney General Barbara Underwood said Friday. New York has been leading the Libor investigations due to size of the banking industry and with Wall Street based here. The New York AG's office alleged that Citi earned millions in revenue off manipulating Libor, along with other financial institutions. Libor is priced every day, and is a widely-quoted interest rate used to price a myriad of financial instruments. Credit cards interest rates typically use Libor as its benchmark, for example. Date : 6/18/2018 11:34:00 μ.μ.